I understand this is for Mac only. Blocks and removes annoying adware. Zero negative impact on speed. 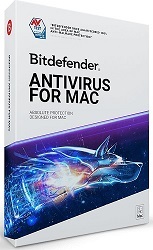 Provides non-stop protection with Bitdefender Autopilot. Secures your online shopping experience. Protects against Mac and PC malware. Delivers 24/7 Cloud-based guard duty.